Woman On Skate Walk With Dogs. 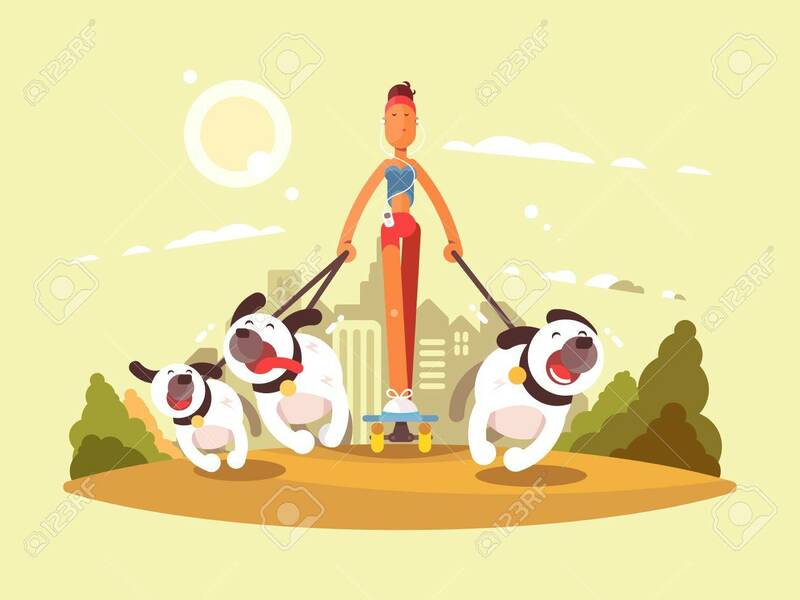 Stroll In Park With Favorite Pets... Royalty Free Cliparts, Vectors, And Stock Illustration. Image 64156204.